The team of researchers from the United States is working on a recent innovation in the world of technology and flight, the helicopter is controlled with a remote control. Unmitigated, remote control helicopter is Black Hawk. This technology is now highlighted the unmanned aircraft called drones that can be remote controlled. Drone that has a half-size motorcycle that has also been used for warfare missions. However, because of the small, drones are only used to send packages of goods. While Black Hawk type is troop transport helicopter that is often used in warfare missions. Unfortunately, the Black Hawk that are required to float suspended in the air while lowering the troops so often become the perfect target for the enemy's rocket launcher. 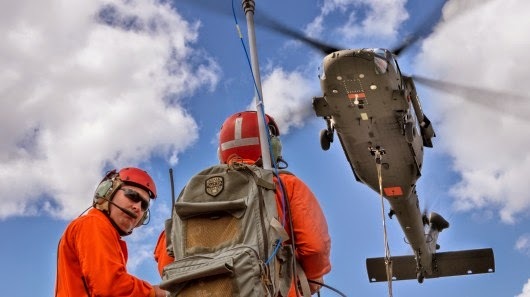 Therefore, the Black Hawk remote control technology, so-called the Optionally Piloted Black Hawk (OPBH), designed to avoid the death of the pilot when hit by an enemy rocket attacks. The Black Hawk helicopter with the remote control does not have difference with the conventional Black Hawk. Equally able to transport troops, it's just that their movements are controlled by pilots on the ground. OPBH pilots such as are playing with the remote control helicopter toy.